One of the important steps in the game design and development process is documentation. 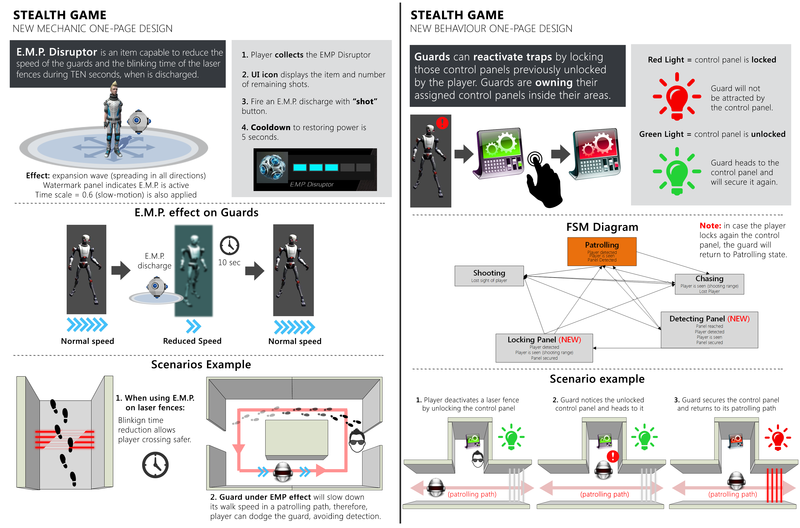 In this section I am sharing a few examples of my documentation for Level Design (LDD's), Game Design, Gameplay Mechanics and A.I. behaviour/design. LEVEL DESIGN DOCUMENT. Arcade Racer level deisng document.